Hey there fashion addicts! Do you always follow the world fashion runways and can’t wait to see what the designers have prepared for the upcoming season? 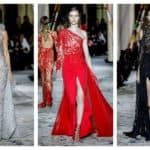 Being in trend with the latest fashions is a must if you want to be stylish and in trend all the time, and here I’m going to keep you updated with the latest collection of the one of the best fashion designers in the whole wide world – Zuhair Murad. The newest Zuhair Murad Fall-Winter Ready-To-Wear 2018-2019 is out and we have to admit that is equally good as his previous masterpieces which managed to leave us speechless. For this fall he manages to calibrate the Ready-To-Wear and the Haute Couture and he somehow calls it Ready-To-Couture. These two different worlds collide and the designers fascinates us with some eye-catching and statement-making embellishments. These collection features more every day clothing pieces with special detail which makes them outstanding. The theme of the collection is empowerment and it depicts the girls from the 60’s and 70’s. You can notice a dash of the Balkan tapestry-weaving tradition as well combined with lots of flower motifs. The colors that dominate the Fall-Winter Ready-To-Wear 2018-2019 are darker but the embroidered details give life to the collection. You are going to notice riffled and striped knits which add interest to the whole collection too! 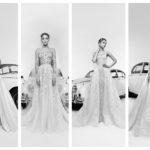 I’m sure that these pieces will make your jaw drop and that you would love to have some of them in your wardrobe as soon as possible. Check them out and see what will be fashionable for the upcoming fall cause now it’s the perfect time to get ready for it on time! You can see the whole collection on the link here.